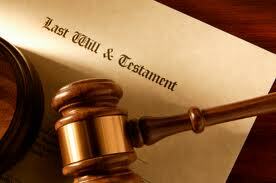 A Will is a declaration of intent as to how a person wishes to dispose of their property after their death. It must follow a legally prescribed form as stated in the Wills Act 1837. Once signed and witnessed correctly, the contents of the Will are legally binding. It follows therefore that the Executors of the client’s Will are legally obliged to carry out the instructions in the Will. The person who has a Will written for them is called a Testator. An old fashioned term for a female Testator is a Testatrix, but the former term will be used throughout the course to denote both genders. For more practical purposes Testators can simply be referred to as clients. If a person dies without having a valid Will then they are said to have died ‘intestate’ and the Laws of Intestacy dictate to whom and how their property is disposed. This may not be as the person would have wished. In effect the law imposes a government-derived Will on the deceased person’s estate. The following is a brief explanation of the various roles and responsibilities of people who can be named in a Will. Once named, they have legal authority to act in whatever way the Testator intends them to do so. The person or persons whom the Testator nominates to administer the Will. When the Testator dies, the Executors have the responsibility for obtaining the Grant of Probate, gathering in the deceased's assets, realising any property, and paying any debts and taxes: effectively they are balancing the accounts of the Estate. They are then responsible for distributing those assets to the beneficiaries nominated in the Will. Sometimes it is necessary for assets of the Testator to be placed into the ‘ownership’ of someone else, ie a Trustee, to be looked after before they are ultimately distributed to the beneficiaries nominated by the Testator. An example of this might be a deceased parent of a young son/daughter who will arrange through his Will for his assets to be placed with someone else, usually another relative, to be looked after until the son/daughter becomes an adult. The Testator, in his Will, would have specified an age at which the son/daughter would be given the contents of the Trust fund. This is usually when the son/daughter attains a specific age, for example 18 or 21 or 25 years of age. When the son/daughter attains that age the trust is wound up, ie closed down, and the trustee transfers the assets to the son/daughter. Parents may want to ensure through their Will that, if both die, someone else is nominated to become legally responsible for their children. Without a Will embedding a guardianship clause within it, a child, on the death of both parents, could be placed with Social Services pending the appointment of a guardian: Social Services may refer to other members of the child’s family, but ultimately it is the Court and not those members of the family who decide who will look after the parents’ child or children. At worst, if there is no-one in the family of the child readily available, the child could be placed with foster parents until a decision is reached as to who should be given legal guardianship. The people to whom the Testator has left a gift of money or specific item. The Testator revokes all previous Wills and declares this to be their last Will. A new Will is usually different from any pre-existing Will. A revocation clause ensures that the previous one is no longer legally valid and the new one takes precedence. Hence latest wishes are acted upon rather than previous wishes. The Testator appoints their executors and trustees. Allows for a professional person, such as an estate planner, will writer or solicitor, who may be involved in administering the estate, to charge their usual fees. Without this clause the Testator could appoint a professional, but they could refuse to act as there wouldn’t be anything in the Will which would allow them to be paid for the work they had been asked to undertake. The Testator bequeaths specific items and/or amounts of money to named beneficiaries. Examples of this could be “£1,000 to my friend Joseph Smith” or “my gold wedding ring to my daughter Susan Jones”. States that all bills, debts etc must be paid out of the Testator’s estate first, ie before distribution of the estate assets. The residue is a technical term for everything that is left in a Testator’s estate after all the debts and taxes have been paid, and all the specific gifts and legacies have been taken out. The Testator states to whom their residuary estate should go to. This part of the Will provides trustees with extra powers which they may require in order to administer more efficiently any trust fund created by the will. The Testator’s wishes regarding organ donation, burial or cremation. This is usually the final section, and consists of a section for the Testator to sign, followed by what is a statement by two witnesses that they saw the Testator sign the Will. They then sign to confirm what they saw. The witnesses have to be people not named in the Will. This is to protect the validity of the Testator’s instructions from anyone contesting that they did not sign it (i.e. it was fraudulently written) or they signed it under duress (forced to sign a Will giving some gift to someone they didn’t wish to).Witnesses are just that – they can appear in Court to give evidence that they saw the Testator give effect to their Will by signing it, if it was contested by anyone else. The testator (the person who made the will) must have been capable of making a valid will at the time when the will was made. To be capable of making a valid will the testator must ordinarily be aged 18 years or over, although there are certain exceptions to this rule. The testator must also be of sound mind, memory and understanding. Essentially, a person must know and appreciate what they are doing when they make a will. If a person lacks the mental capacity to make a will, an application to the Court of Protection can be made under the Mental Capacity Act 2005. However, the Act will not assist where the will has already been made by a person of unsound mind. The testator must have clearly intended to dispose of his or her property, in the manner set out in the will, on his or her death. If the will has been validly executed and the testator was of sound mind when the will was made such intention will normally be assumed. If a testator is unduly influenced (coerced or pressured) or forced into making the will, a Court may set aside the will in its entirety or in part. Similarly, a Court may set aside a will or part of a will if the execution of a will was obtained by fraud or if it was forged after the person’s death. In the majority of cases the will must be in writing for it to be valid, although there are certain exceptions to this general rule. It must also be signed by or on behalf of the testator, and the signature must be made or acknowledged in the presence of 2 witnesses present at the same time. A will can be written in pencil or ink or can be typed. There is no legal requirement that a will should be dated, unless the will appoints a guardian of a person under the age of 18, although it is good practice to do so. In the majority of cases the will must be signed by the testator, or by some other person in his or her presence and by his or her direction. Normally the testator will sign the will at the end of the document, although this has not been a legal requirement since 1982. Where a will consists of several pages, it is not necessary for the testator to sign them all, so long as all the pages are attached at the time of execution of the will. The testator should either sign his or her will or acknowledge his or her signature in the presence of 2 or more witnesses present at the same time. Any alterations made in a will after it has been executed will not be valid unless the alterations have themselves been duly executed. As a general rule, a will is revoked upon the marriage of the testator or if the testator enters into a civil partnership. A will can also be revoked by a testator executing a later will or codicil or by making a written declaration declaring his or her intention to revoke the will, or by a testator intentionally destroying the will. Once a will has been revoked it will no longer be valid.